Planning to send a mail like a professional business men to show your professionalism in your business?. Now it’s not harder to show your professionalism to your business in mail. Each and every day we send mail to someone for business purpose or for personal purpose, still writing a signature with just a text with link to your social profile? No, now we need to upgrade to modern treads to establish in our business and branding purpose. I have noticed that most of professionals emails which contains links to their social profile with images (logo) in email and I worried about how can I do that easily. Luckily, I found one nice Firefox add-on to do this job (sending html emails). 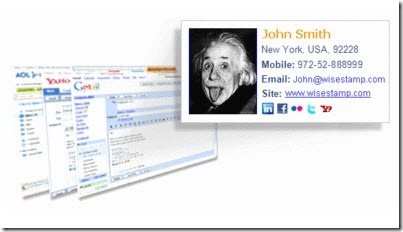 Wisestamp is one such add-on that can helps you in adding an html signature to your E-mail automatically. 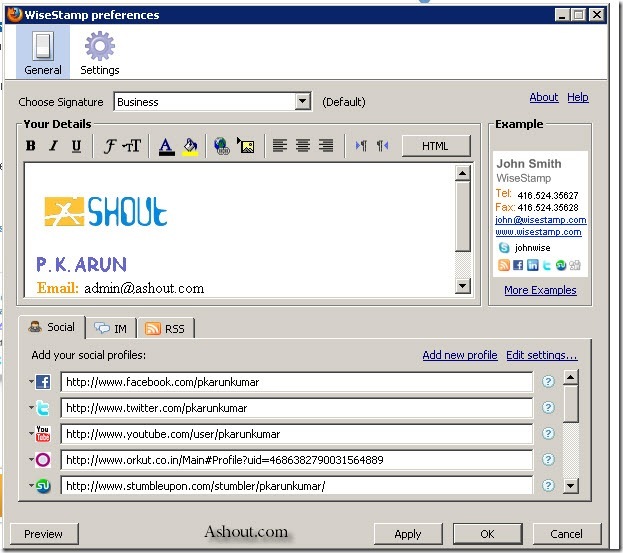 With the help of wisestamp we can insert our social networking profiles easily in a single click. It is not only adding your social networking accounts, but it also add your latest blog post to email automatically. This is such a cool addon and every blogger, entrepreneur and who what to wants to brand himself, then is must have plugin. Why you need Wise stamp? There is no reason why you don’t need to use wise stamp addon. In my aspect this most useful and simple addon to show your banding, promoting your social networking profile and to show your latest blog post automatically without copy pate of title. And also it helps in stand out form a thousand of mails. What do you think about this addon, do you prefer using wise stamp? 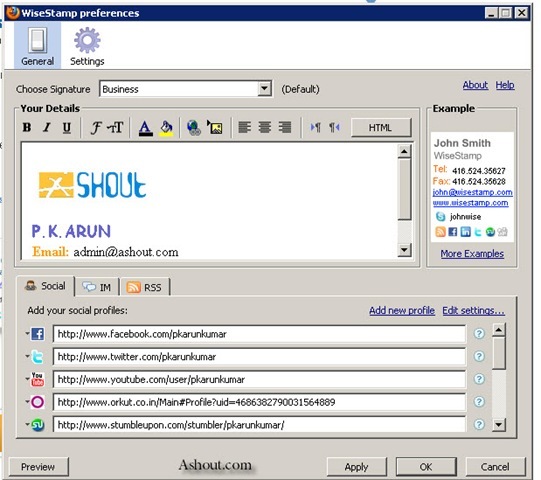 Do you know any other similar addon or application to insert html in mails? It’s important to sent email like professional if you have online business. Nice tips :)professional emails are important for a good business conduct. Check out brandmymail.com it provides a more comprehensive solution to the same challenge of creating dynamic signatures with content sourced from your/your-company’s social net. Lets you embed social content media into any part of the email fringes. Once configured it works with Android, iPhone, outlook and also as a firefox/chrome gmail plugin.